Here’s a brief overview of ISAs (Individual Savings Accounts) – what you can and cannot do with them in the current 2011/12 tax year which ends on 5th April 2012. 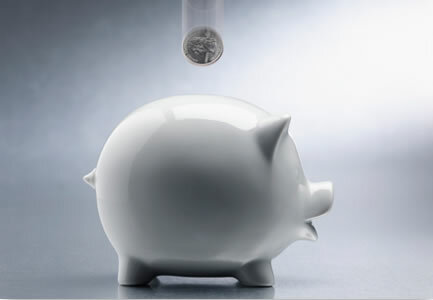 An ISA (Individual Savings Account) is a tax-efficient form of saving or investment. It is tax-efficient in terms of income and capital gains tax. The actual rules are beyond the scope of this quick article but check the HMRC website for more info if needed. Basically, the are tax free in terms of income and capital gains taxes in your hands. An ISA will be included in calculating your Estate value for probate and inheritance tax purposes. What different types of ISA are there? 1. Cash ISA – a savings or deposit account on which interest is paid tax-free. 2. Stocks and Shares ISA – this is a an ISA which invests (normally through the investors own choice) in mutual funds (collection of shares managed by a fund manager) or directly into individual company shares. Self-select ISAs allow you to choose your own funds and/or shares. Seek advice from an Independent Financial Adviser (IFA) if you’re not sure where to invest. 1. Up to £10,680 in a Stocks and Shares ISA. 2. Up to £5,340 can be invested in a Cash ISA with any unused allowance being available for a Stocks and Shares ISA. E.g. if you put £2,000 into a Cash ISA you can still put £8,680 into a Stocks and Shares ISA. Can I Transfer from one ISA provider to another? If I transfer an “old” ISA does this use my current years’ ISA allowance? No – each individual has a new personal ISA allowance on 6th April each tax year, regardless of any previous ISA investment they may have made. Can a husband and wife have their own ISA’s? Yes, everyone aged over 18 has there own personal ISA allowance. It is currently £10,680 for the 2011/12 tax year. Joint ISAs are not allowed. If I take out a Cash ISA and a Stocks and Shares ISA do they have to be with the same provider? No. You can have a Cash ISA with your bank or building society AND a Stocks and Shares ISA with a separate investment house. Cash ISA – generally no – if the bank or building society were to “default” then you should be covered by the Financial Services Compensation Scheme (FSCS). In terms of returns, there is no volatility involved as this is purely a deposit/bank account. More information on the compensation schemes can be found at FSCS – please note you cannot claim on the FSCS if your plan simply falls in value due to poor fund choice or investment market conditions!!! If you have any comments or questions please let me know in the comments section below. Remember though – we don’t give financial advice on this site!